Please note when downloading Google Drive files - the download icon is at the top. 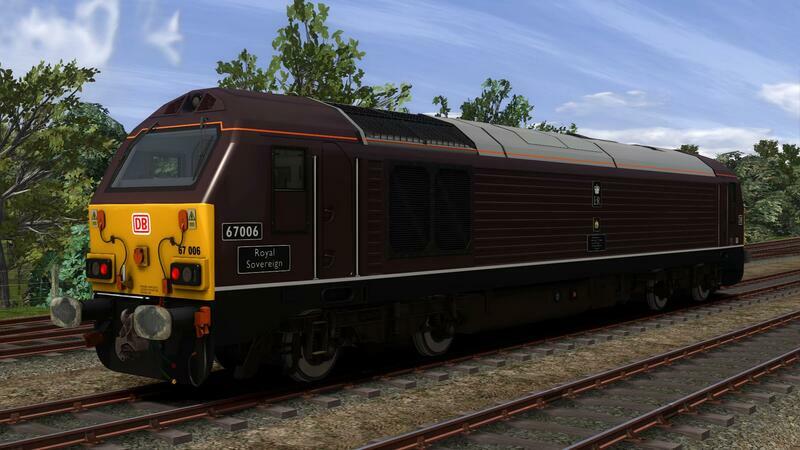 This is a reskin of the EWS Class 67 Pack loco into the 2018 (New) version of "Royal Claret" livery applied to DB Cargo's 67005 and 67006,it includes the nameplates and plaques applied to each loco. 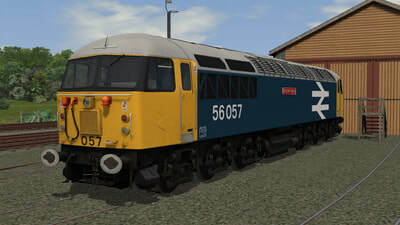 This reskin of the DTG Class 45 into Tinsley Modified BR Blue Livery as 45104 'The Royal Warwickshire Fusiliers" features a number of child objects to bring the locomotive to life,as it was seen in the 1980's. It also features a Sealed beam headlight that casts a light ahead of the loco and is controlled from the HUD/H key. 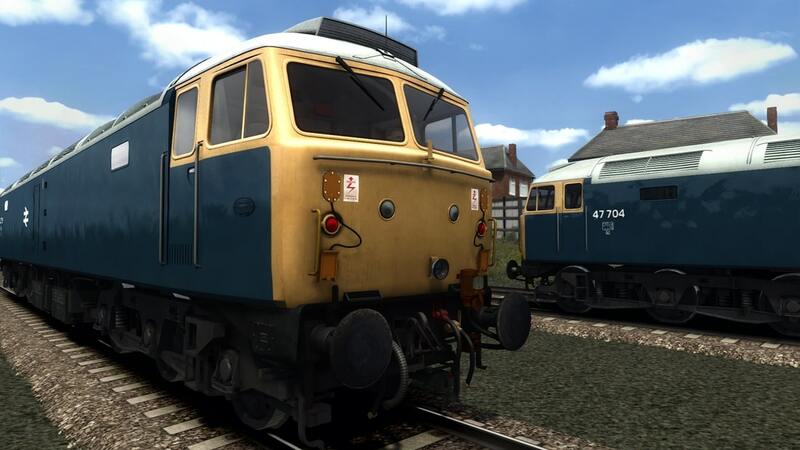 The sounds are once again aliased to the AP Class 47 Sound Pack Pro. 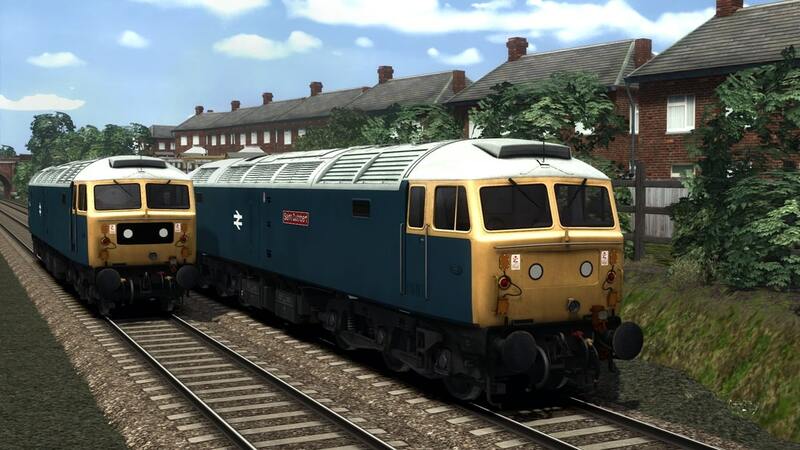 This pack sets out to modify the Kuju Class 47 in order to present many variations of the class in condition seen between 1975-1985 with TOPS numbering and no sealed beam headlight. The Kuju green model has a fixed Brush worksplate that cannot be removed, so the list we have compiled is of Brush examples only. All major sub-classes are present (47/0, 47/3, 47/4 and 47/7) and we have provided free user choice of the type of front marker lights arrangement. 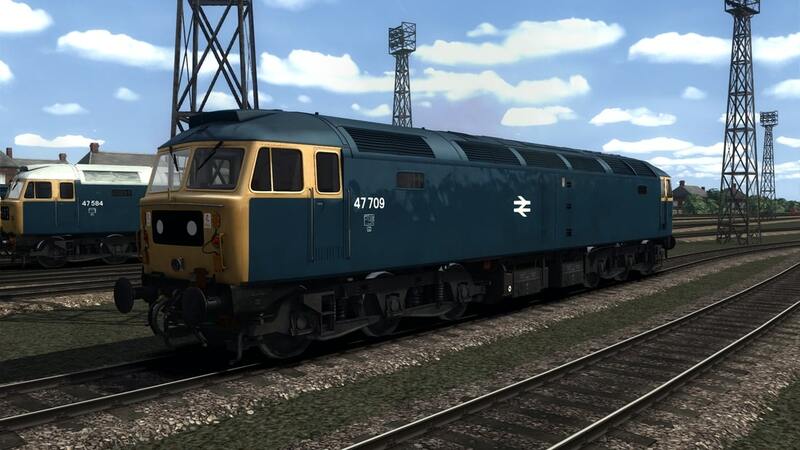 This download includes a reskin of Trans-Pennine liveried Class 47 No.47475 and a similarly liveried Mk1 NEA. A scenario on Liverpool to Manchester is also included. The Settle to Carlisle (APWL) Class 37 repainted into EWS livery. 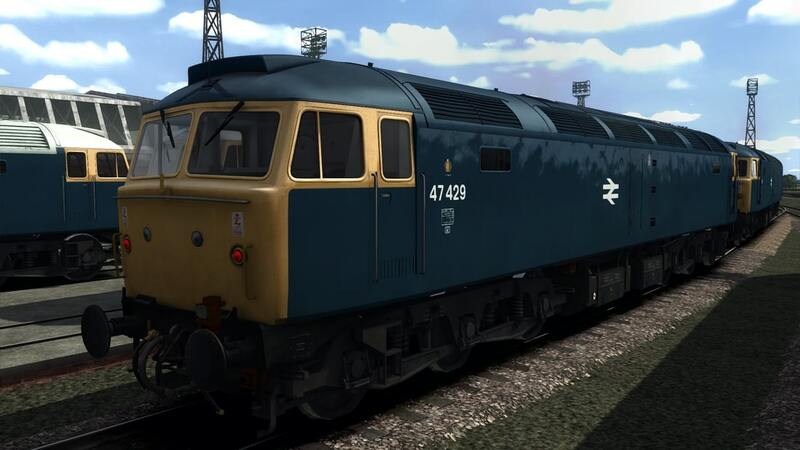 A reskin of the DTG Class 45 into correct BR Blue livery,also with a Class 46 variant. 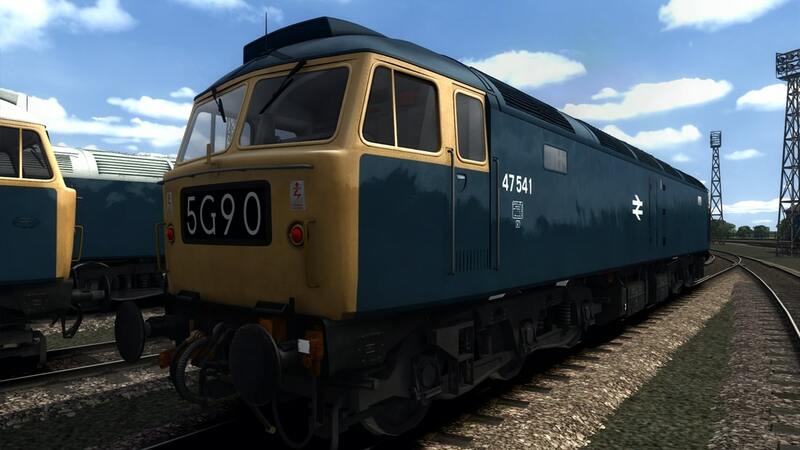 We have provided versions patched to use the AP Class 47 Sound Pack (Pro),should you wish to use the reskins with these sounds. 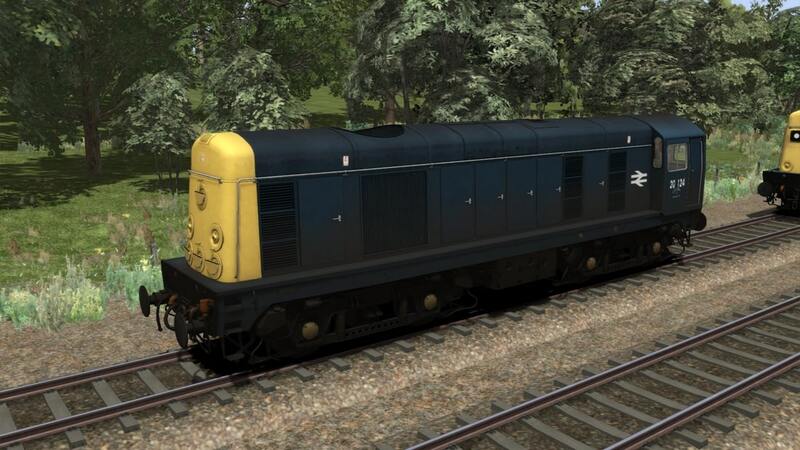 This pack also overwrites the colours of the default Class 45. 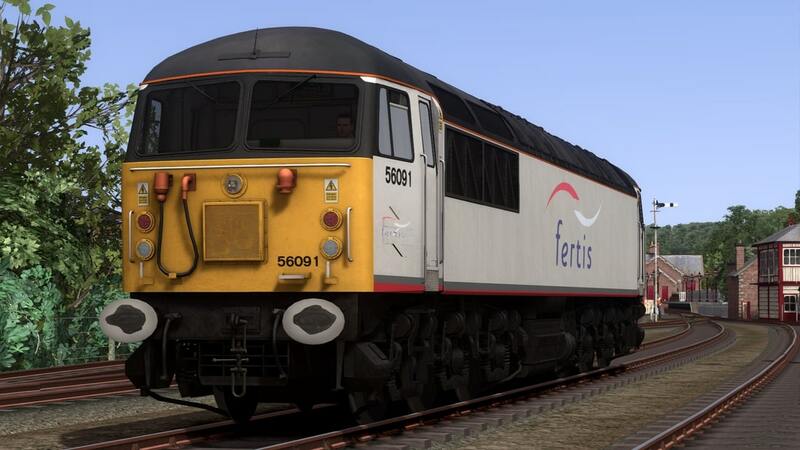 A reskin of the Class 56 into Fertis livery,as carried by the class when they were used in mainland Europe during the mid 2000's. These feature scripted headlights (correct styles),auto numbering and differing window surround colours dependent on which loco is placed. 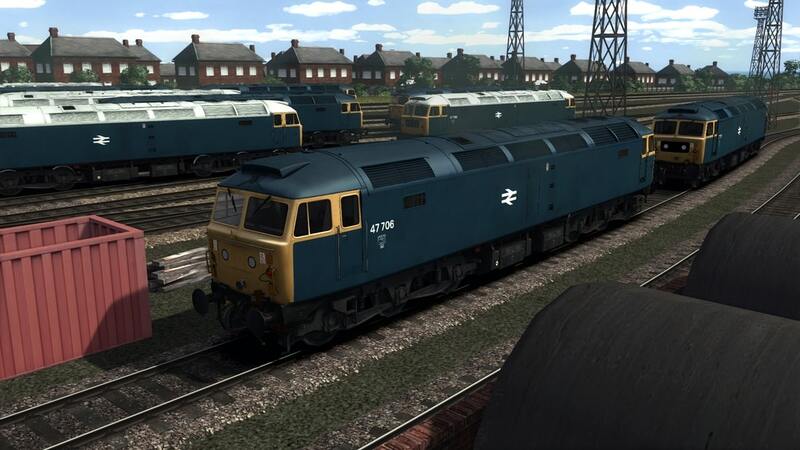 A collection of reskins of the DTG Class 20 into BR Blue Livery,painted by Ash Burgess. 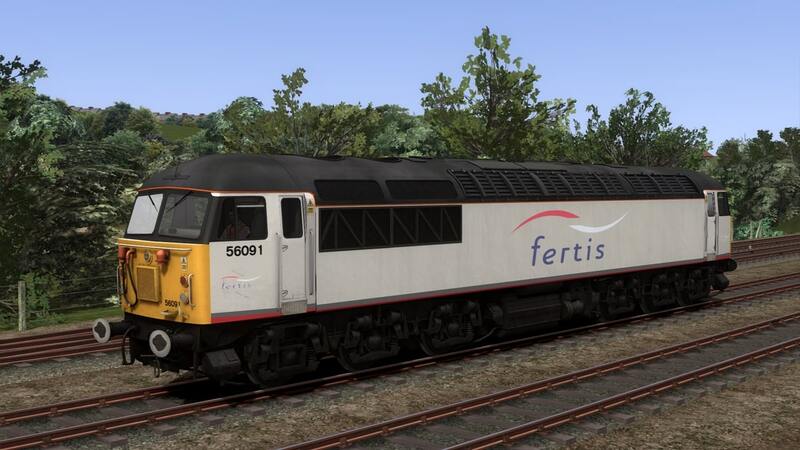 This download includes reskins of GBRF owned 66783 in promotional Biffa livery and 66789 in BR Large Logo. It also includes 2 scenarios,one for Chiltern Main Line and another for Chatham Main & Medway Valley Lines. 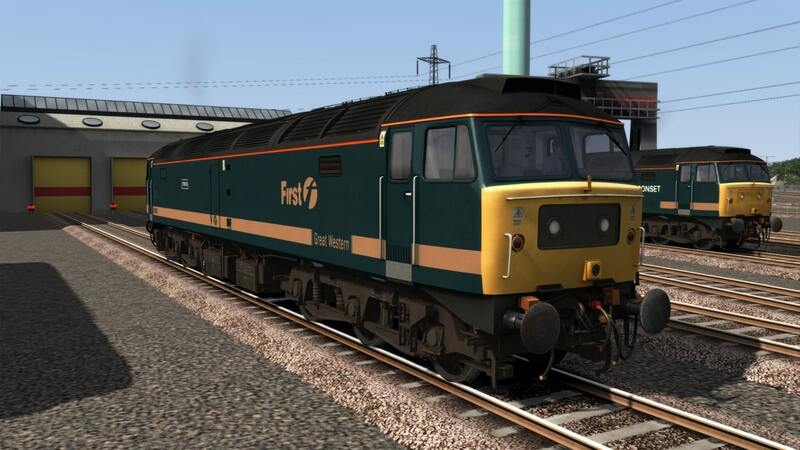 This pack contains 47829,47840,47847,47851,47853 and 47840 renumbered as 47077 (with headboard) as seen in the last months of loco haulage on Virgin Cross Country services in 2002. 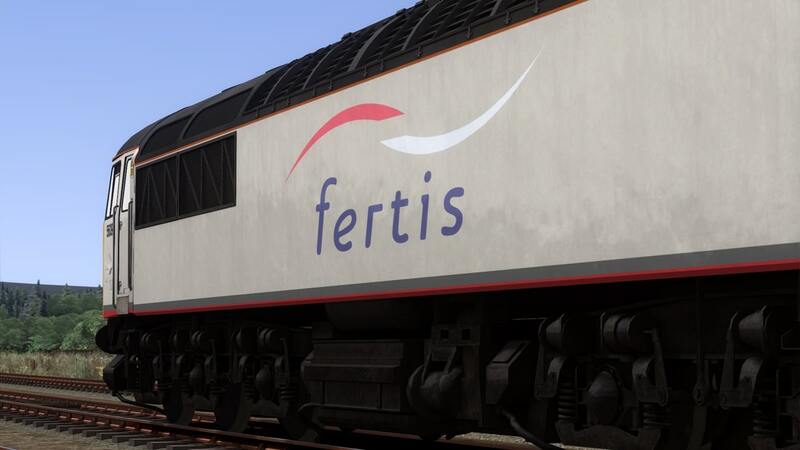 The locomotives were all repainted into heritage liveries for the final months and these reskins capture this period,recreated with 3D nameplates,builders plates and numerous tiny features to make each loco authentic. 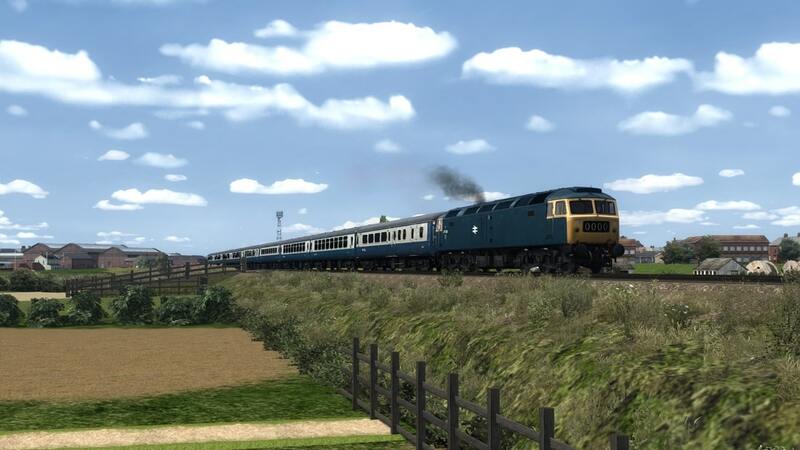 A scenario on the Railways of Devon and Cornwall Route,depicting the last booked Cross Country loco hauled 47 working has also been included. 31112 in Dutch livery with large numbers and Transrail branding,also with added central lamp bracket and OHLE decal. 66100 with it's special 'Armistice 100' plates which it received in November 2018 to mark 100 years since the end of WWI. Two reskins of Class 56 no 56057 'British Fuels'. 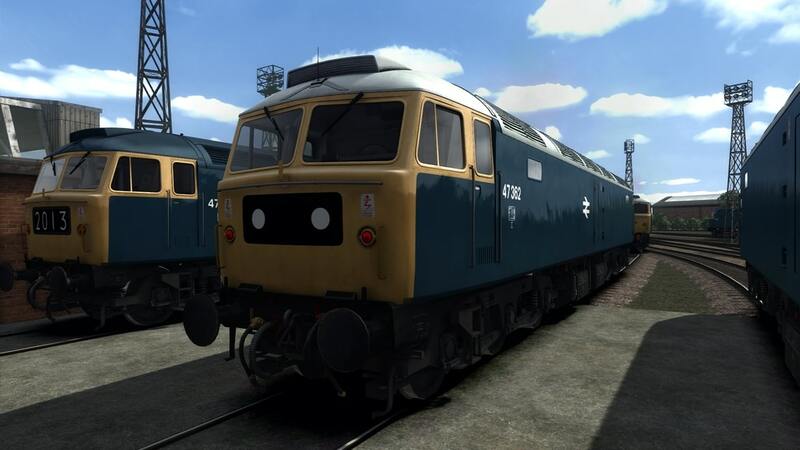 One represents the loco as it was preserved and the other is a fictional mainline representation of how it may have looked. These shall be our first reskins to use Armstrong Powerhouse new Clag Factor feature and also feature a prototypical square headlight. 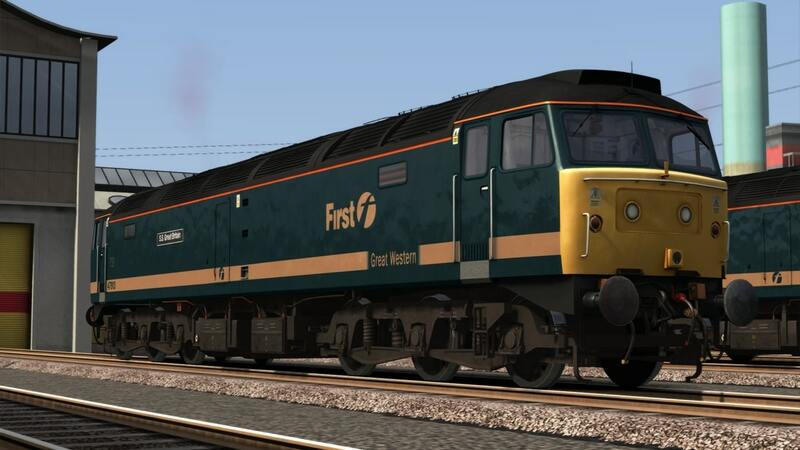 This download contains a variety of reskins of former FGW "Green and Gold" liveried Class 47's. 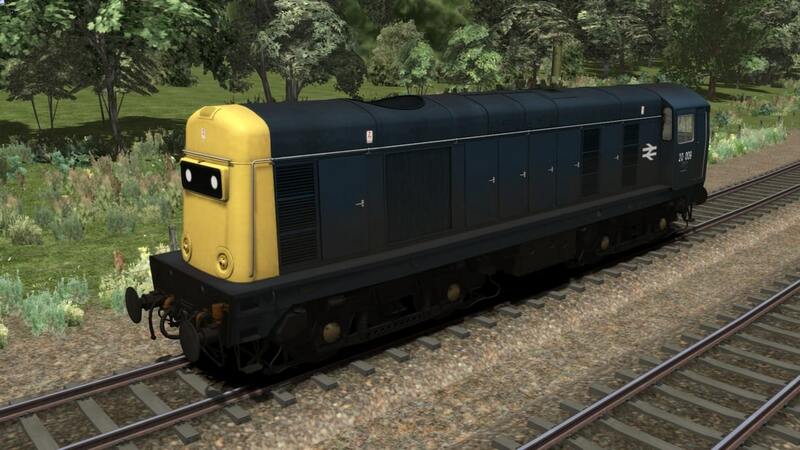 Each reskin has Yellow and Black headcode versions as well as flush fronts where appropriate. 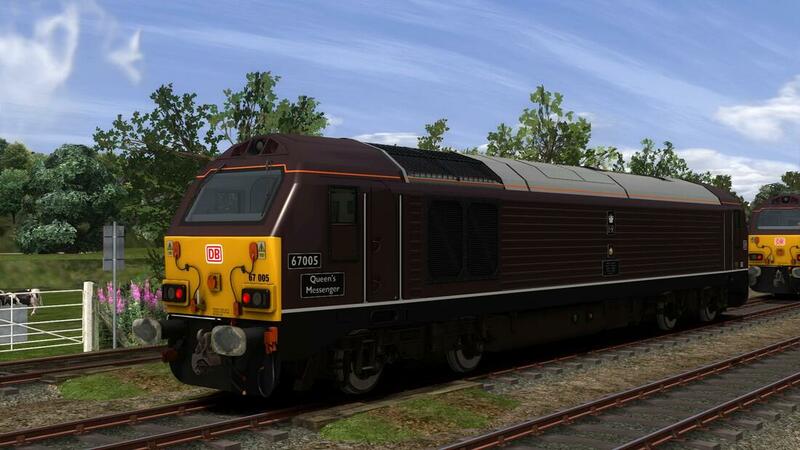 This download contains a reskin of GBRF's 66718 'Sir Peter Hendy CBE' in it's one off livery. 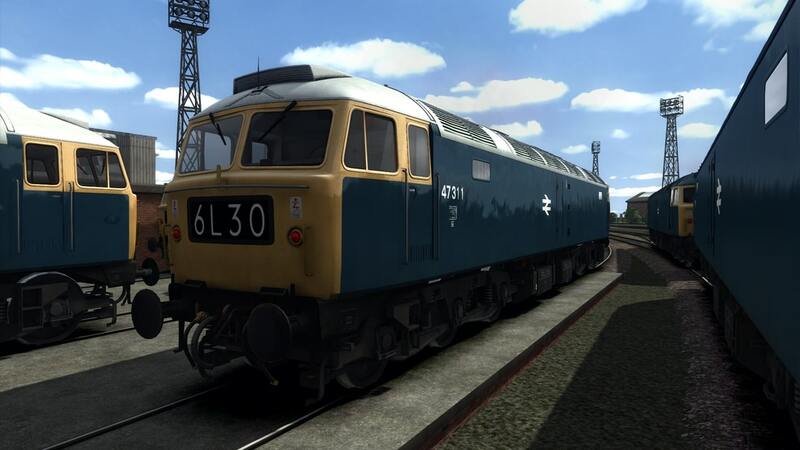 This is an updated version of the Class 52 Mega Pack,containing various reskins utilising AP's Class 52 Sound Pack and CJB Particles for some lovely thick clag! 30 examples of the class. 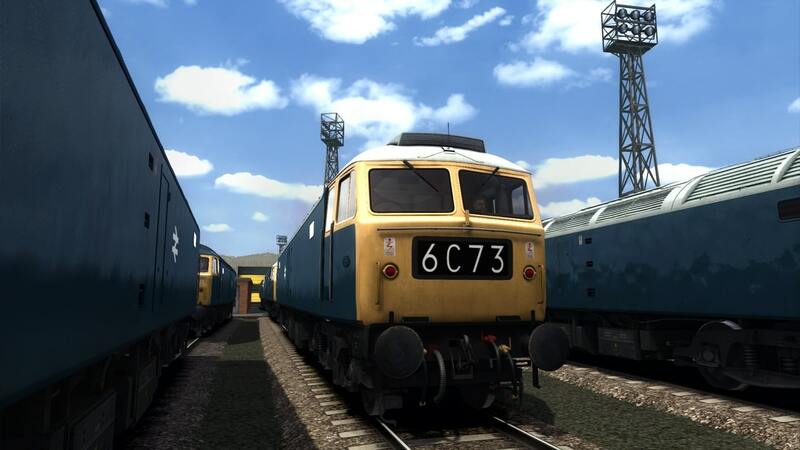 9 livery variations, true to locos that wore them in their working lives. 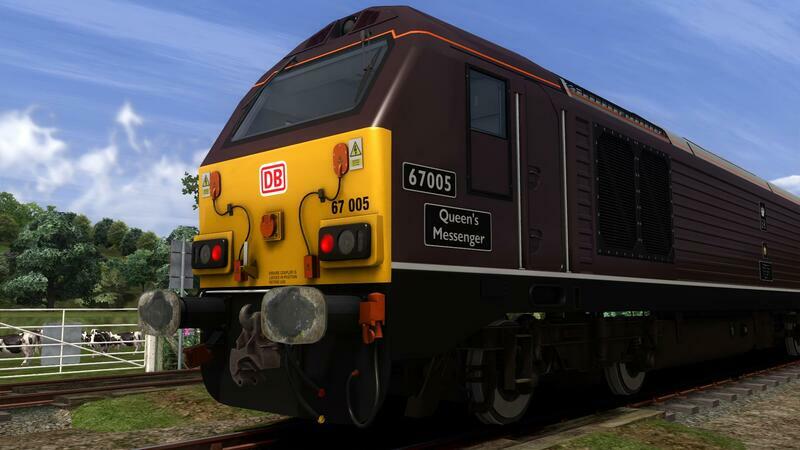 This download contains a reskin of 67015 in DB Cargo livery with "Leading the next generation of rail freight" branding. 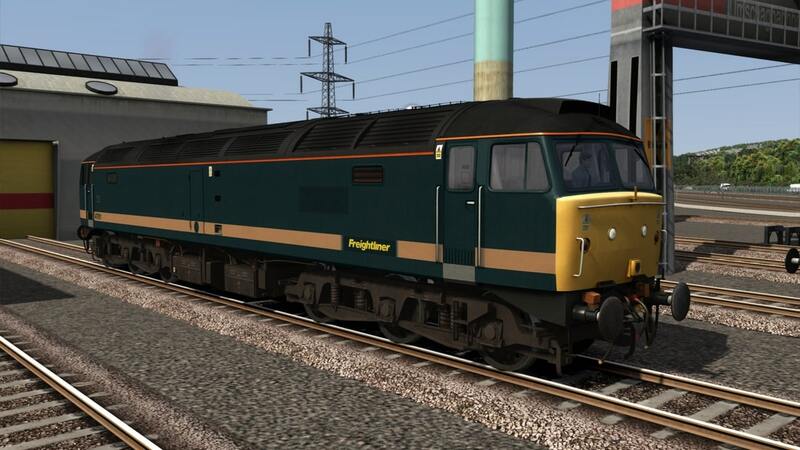 This download contains 37075 in Railfreight Triple Grey Livery as seen on the Keighley and Worth Valley Railway. 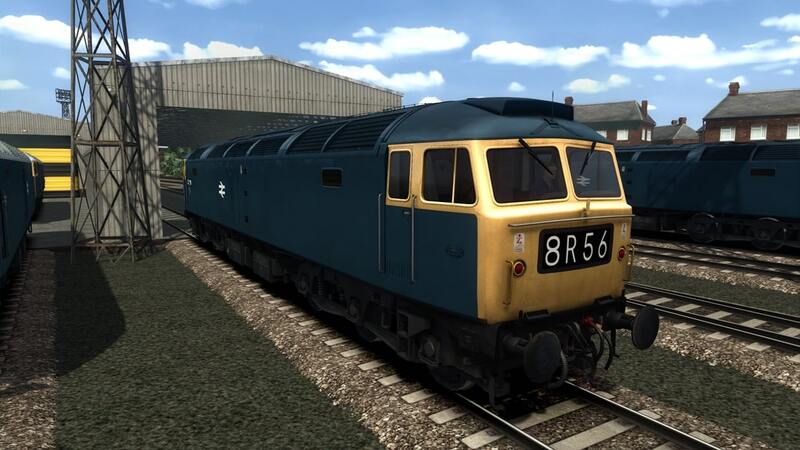 It includes two versions of the loco,one with Black Headcode boxes and one without. 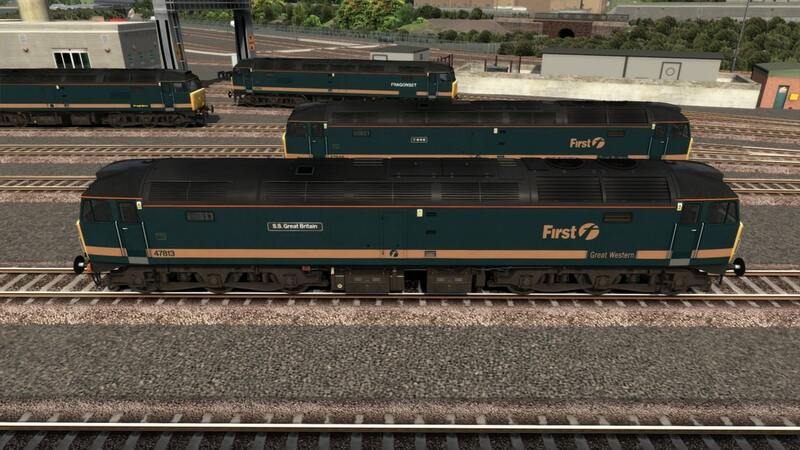 37075 is one of the few 37's which has different ends and this has been represented in this reskin,as a result we have had to use the long retired Class 37 Pack by RSC. 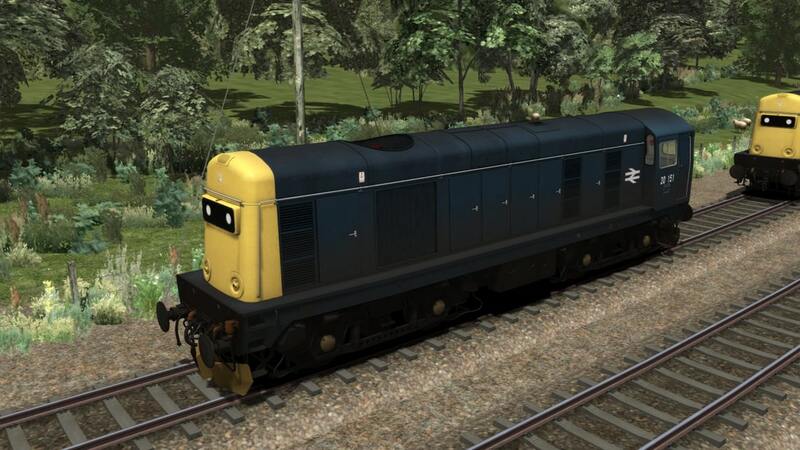 Whilst we are sorry for using this pack,the simple fact is that we couldn't have done this reskin at all without it. 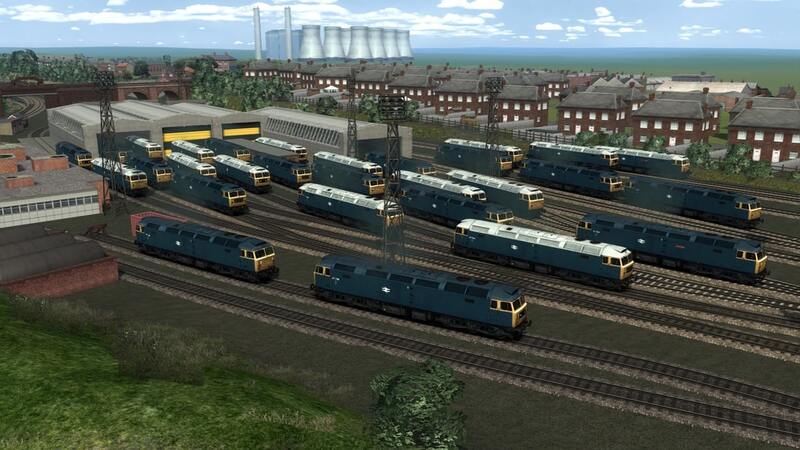 This download contains both 37800 and 37884 in Rail Operations Group/Europhoenix livery with 4 variations on each loco! The loco also features a fully working Dellner coupling. 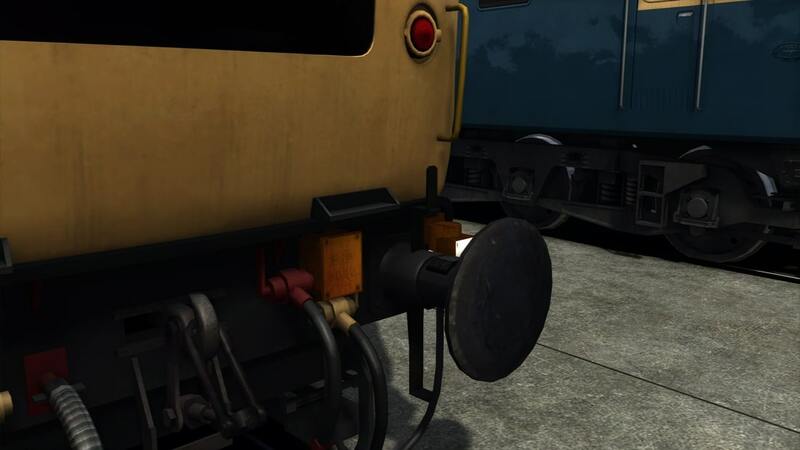 The Dellner coupling can be used to actually couple to unit's such as the Class 375's,with the limitation in the software of a small gap at the EMU end of the coupling,though this is not noticeable unless you look extremely closely. 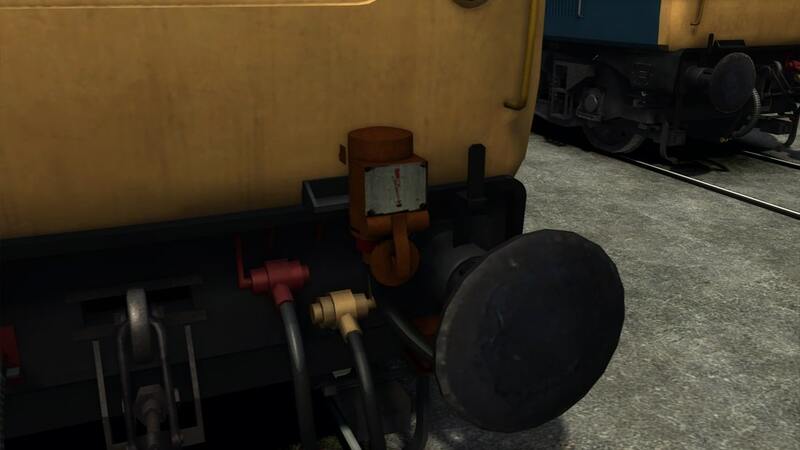 Known issue: The Dellner coupling will glitch inside of the other stocks coupling due to the coupling distance being set to the bounding box of the loco which is uneditable. This download contains 67021 and 67024 in VSOE livery, which they received in Autumn 2017 for working the VSOE workings. 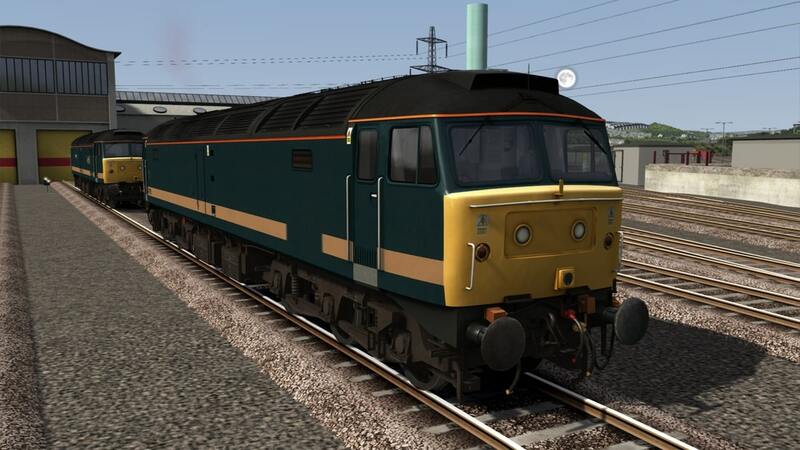 This Download contains 37114 'City of Worcester' in EW&S Livery with Black Headcode boxes as carried between 2001 and 2004 when it was withdrawn form traffic. 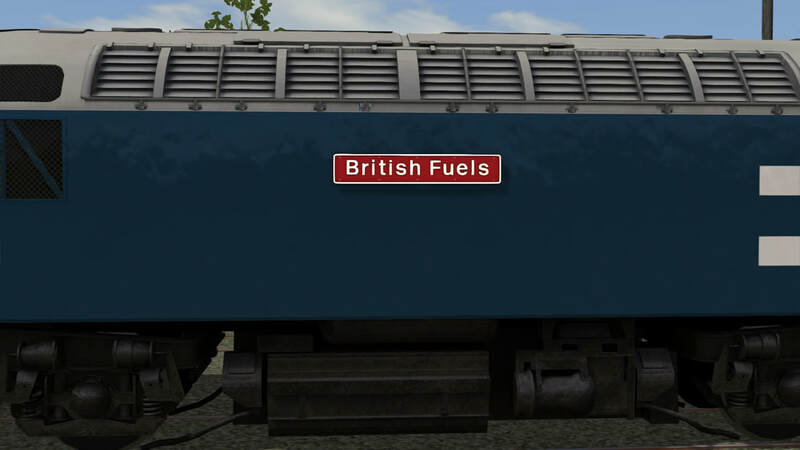 The reskin of course features 3D nameplates. 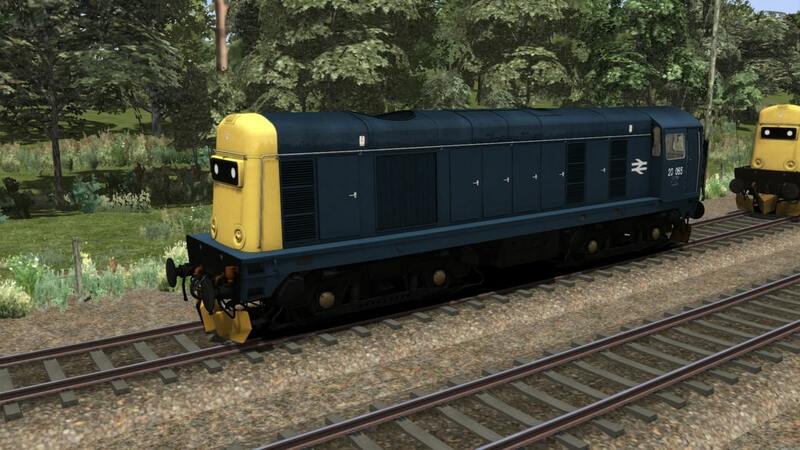 This reskin uses AP's Wherry Lines sounds and cab with grateful thanks to Armstrong Powerhouse for allowing us to release reskins using Wherry Lines features as an alias. 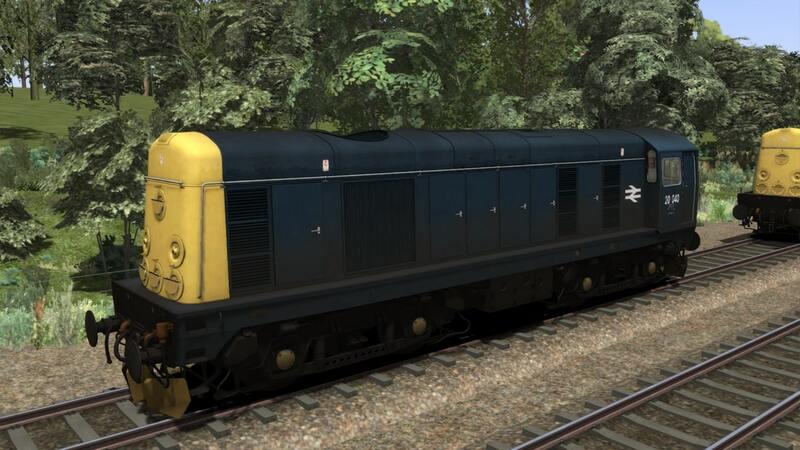 This reskin is designed for the armstrongpowerhouse.com version of Wherry Lines and MAY NOT be compatible with the Steam version of Wherry Lines. We therefore cannot provide support for users with the Steam Version of WL. 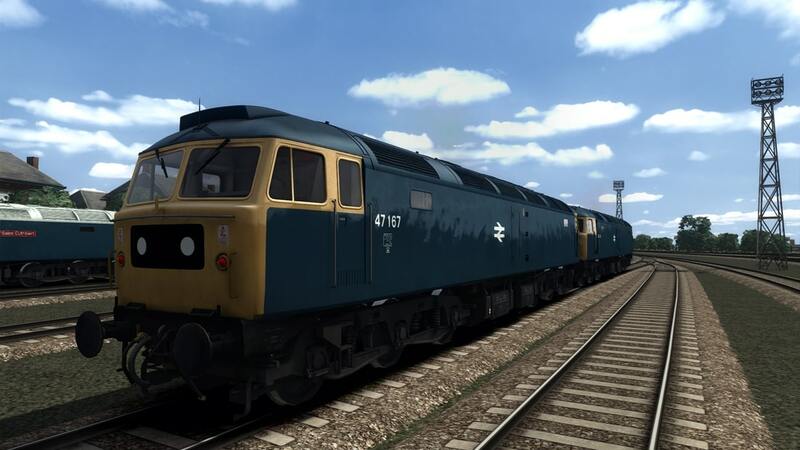 The reskin featured in this pack depicts 03179, built in January 1962, carrying the same Network SouthEast livery it carried during it's career on the Isle of Wight. 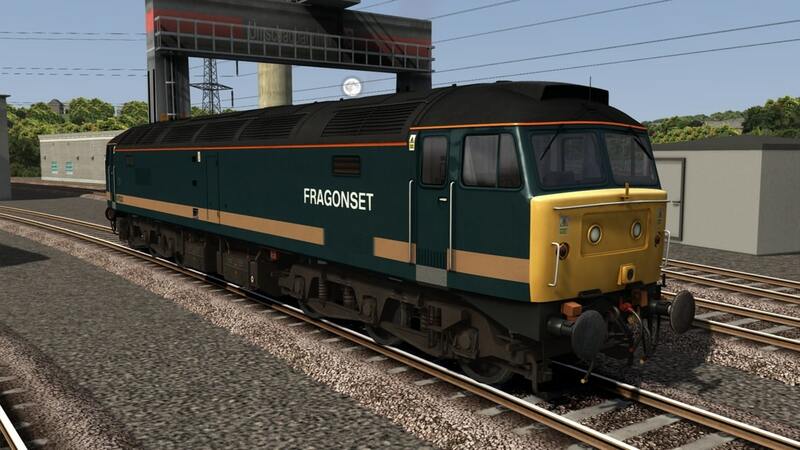 This livery lasted until 1993, when it was withdrawn from service and shipped back to mainland England. use in scenarios. We have also taken the time to fix the broken two tone and now correctly works on the B Key aswell as add a blank headcode panel which is assinged to "#"
and fixed the size of the Domino panel which has been moved to the "@". 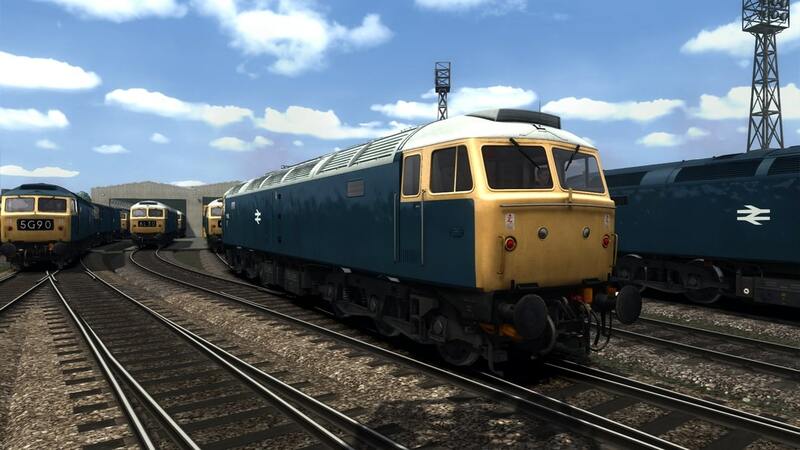 This download contains the DTG Class 35 Reskinned into all liveries the class has carried aswell as numerous fixes to the number and general improvements to the overall look of the loco. 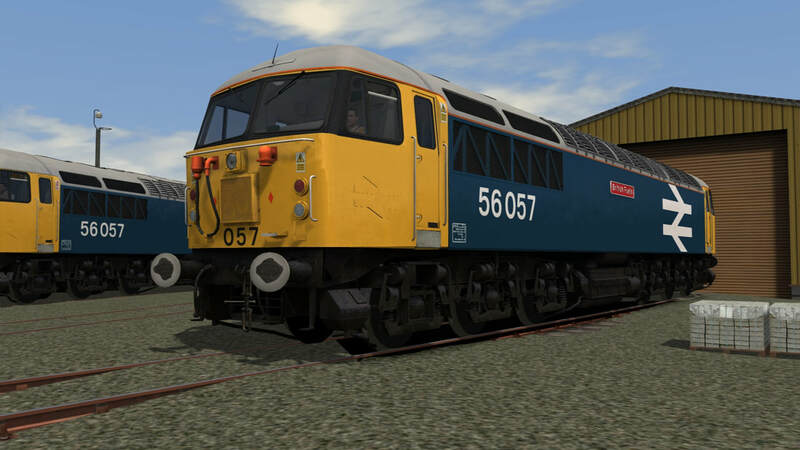 Train Simulator: BR Class 35 Loco Add-On, avaiable from the Steam store. 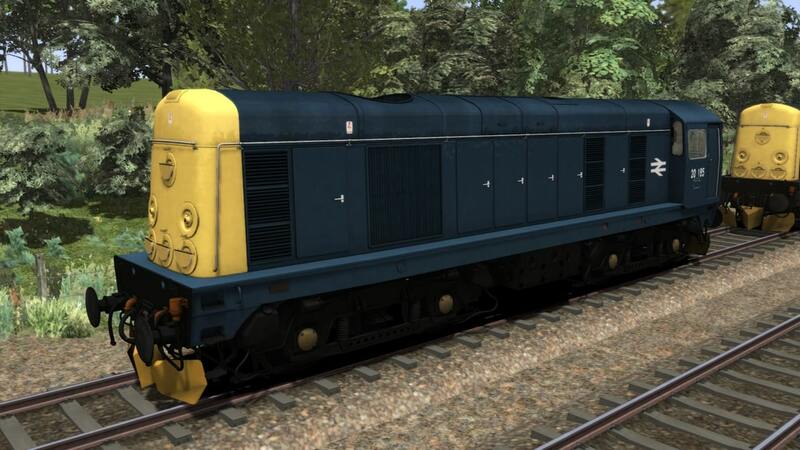 This download contains the Kuju Class 37 Reskinned into BR Large Logo No.37025 'Inverness TMD'. The loco features newly made Class 37 Ploughs, 3D Nameplates and 4K textures. 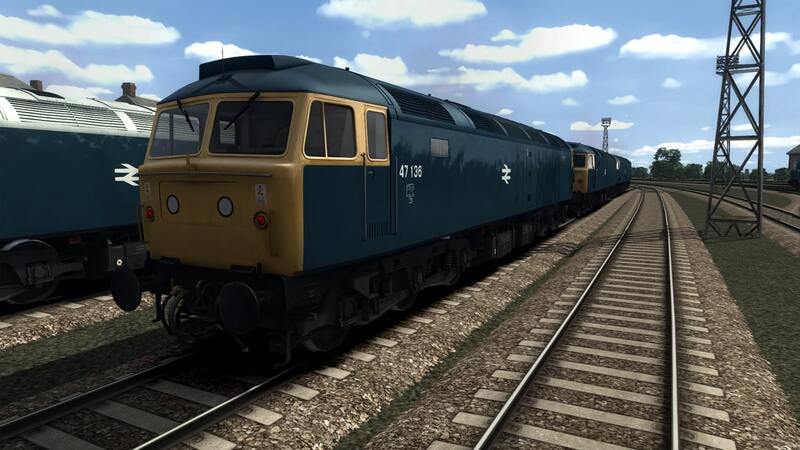 Also included in this pack is 37421 for the WHL Extension Class 37. As this is a reskin of a payware product, files are omitted for security reasons. Please read the accompanying readme file included in the package for instructions. 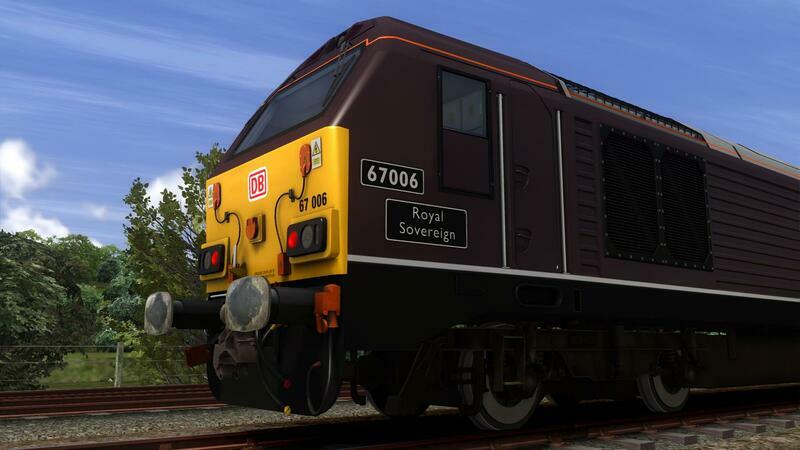 The payware West Highland Line Extension route from Steam is required for this reskin to work. 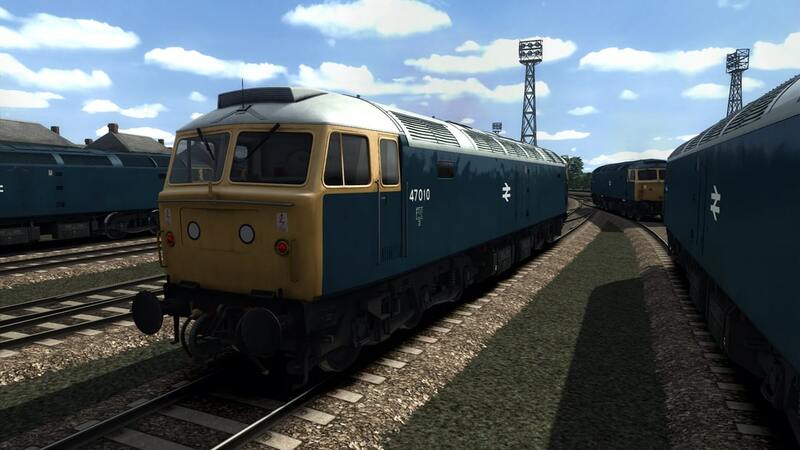 This download contains the RSC Class 37 Reskinned into BR/DRS Large Logo with a number of additional details such as 3D Nampates, DRS Multiworking Sockets, LED Headlights/Taillights. 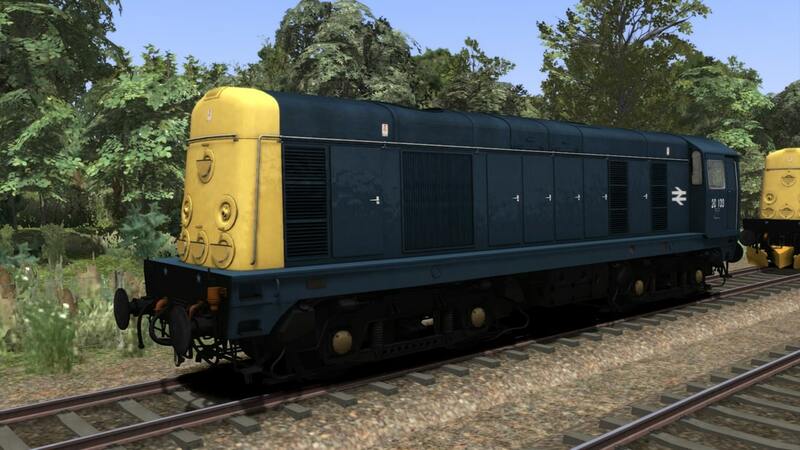 ​The reskin featured in this pack depicts the flagship locomotive of the Class 40 Preservation Society – D345, carrying British Railways green livery with half yellow warning panels, as well as sporting a high intensity headlight for mainline running. 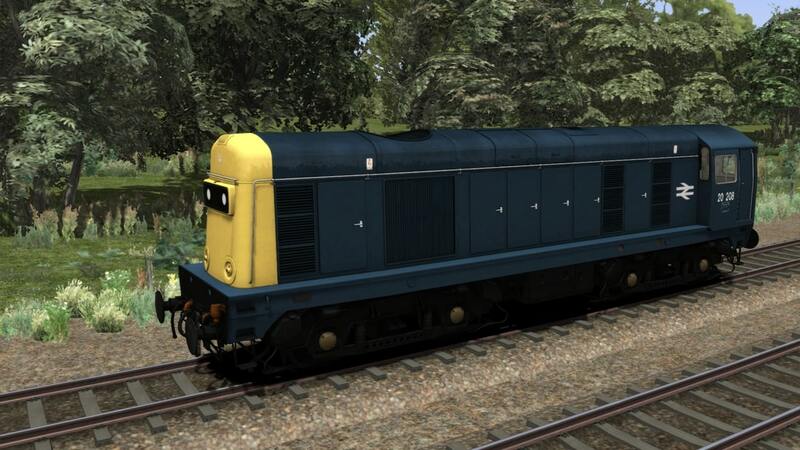 Special Thanks go to Ewan Rutledge & Matt Wilson for making this skin happen, and Alex of Railright for allowing release of this skin. 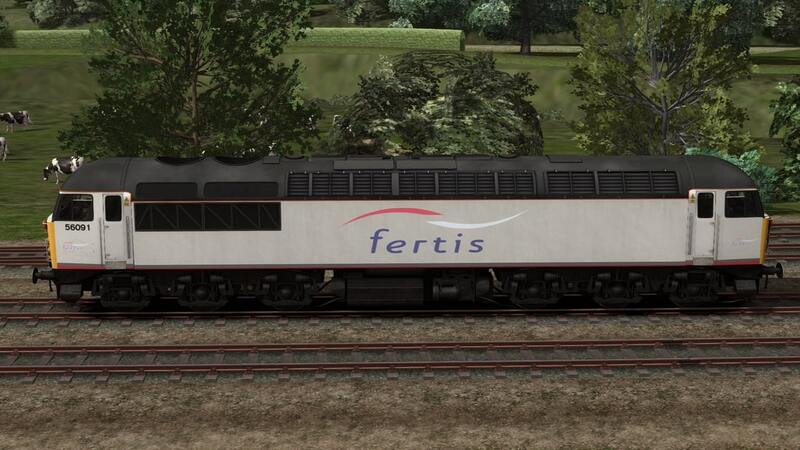 ​This download contains the Class 68 standalone DLC with the addition of specially made 3D nameplates, branding, dynamic numbered worksplates, new bodyside nubers and a new script to control them. Driving trailer (DTCL) numbers Sc56462 to Sc56483. of the Class 156 carried this livery from 1995 to 2005, where by that time they were rebranded under the First North Western franchise. 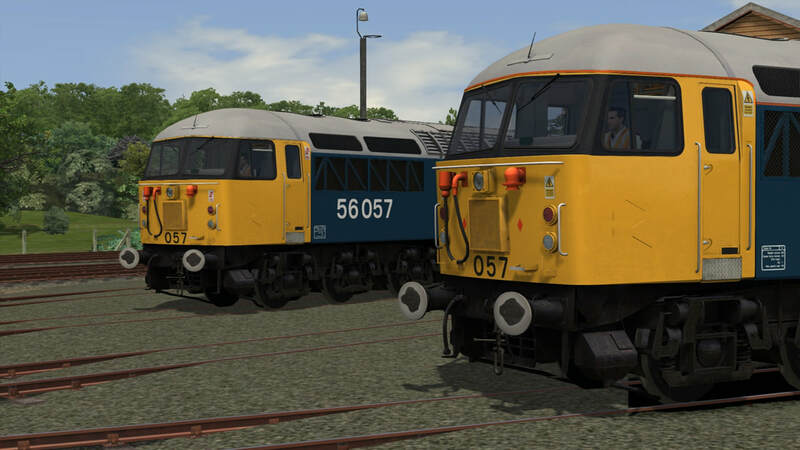 The reskin numbering files reflect the 19 members of the RRNW / FNW fleet between the above dates.